Caffeine lovers that are avid coffee drinkers are well aware of how it contributes to stained teeth. Since the coffee is acidic it does not only stain, but it also is weakens the tooth enamel, making the teeth more prone to staining and cavities. Drink Your Coffee, Don’t Sip it! It is proven that the longer you take to sip your coffee, the more likely you are to have staining. If you are drinking the coffee slowly then the teeth are constantly being exposed to its acidity. This damages the enamel more and allows the stains to penetrate more deeply and darken the teeth. By drinking your coffee quickly you can protect your teeth from coffee stains significantly. Using an electric toothbrush is better than a manual one for decreasing surface stains. A great example of an electric toothbrush that works well is the Sonicare toothbrush. Ask your dentist for help if you are unsure which to purchase and they will guide you and prevent stained teeth. Dr. Meier recommends using Arm and Hammer Advanced Whitening toothpaste as the best toothpaste for removing surface stains from the teeth. The baking soda acts like an exfoliator on the teeth and the fluoride helps protect the enamel from harmful bacteria. If you do not want the coffee to stain your teeth then you should not brush right after your coffee. Since the coffee is acidic it will weaken the enamel. If you then go and brush the enamel this scrubbing action will help the staining coffee particles further infiltrate the teeth and cause stains. Wait at least thirty minutes after your coffee before you brush your teeth. Right after your cup of coffee make sure to drink some plain water. This will rinse the teeth off as well as help to buffer the acidity of the coffee in your saliva. By drinking the coffee through a straw you can completely bypass the teeth. Of course for hot coffee this is less appealing than iced coffee, but it really does help avoid stained teeth. If you want to have white teeth then regular teeth whitening at home really helps. Your dentist can make you custom whitening trays and review instructions on how to bleach your teeth without causing pain, sensitivity, or damage to your teeth. Once you have the custom trays it is a good idea to use them regularly after your dental cleaning to really keep the color bright. These changes can help protect your teeth from coffee stains. Ask your dentist and dental hygienist about custom whitening at your next appointment or call us today to schedule a free consultation to help you achieve a brighter, whiter smile. Dental X-Rays: What Are They Looking for? If you have visited the dentist in the past, chances are you have had dental x-rays taken. These x-rays give the dental professionals a lot of information about your teeth, gums, and jaw bone that they may not have seen with their eyes. Dental x-rays are very useful and safe. Nowadays digital x-rays are replacing traditional f ilm x-rays and we know they emit about 80% less radiation than the traditional film X-rays. This amount of radiation emitted by digital x-rays is extremely low and harmless. It is important for patients to know that the amount of radiation from a series of digital x-rays is less than the amount that they are exposed to by the Earth, appliances, and the sun in one day naturally. Our office also records patient X-rays and has them saved in the chart so we never will unnecessary expose patients to x-rays that can be avoided. Since the x-rays are digital they come up immediately on the screen. This saves loads of time for dental professionals as well as for patients. For these reasons, at Dr. Ken Cirka and Dr. Jessica Meier’s office, we are only using digital x-rays. There are two different forms of x-rays, intraoral and extraoral. 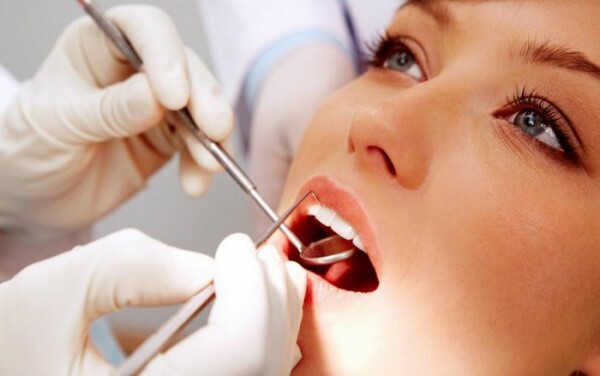 In one case, intraoral x-rays, the dental professional is looking at the health of the teeth, gums, roots, and the jaw bone holding the teeth in place. For the extraoral x-ray, the focus is more on larger elements of the face and jaw bones. This includes the temporomandibular joint “TMJ,” the sinus, impacted wisdom teeth, growth and development, jaw fractures, and more. Depending on your health and dental history, the frequency of when we are taking x-rays may change. X-rays are a vital, important diagnostic tool that confirm whether or not there are harmful bacteria hiding in the teeth, under the gums, or even on the roots of the teeth. 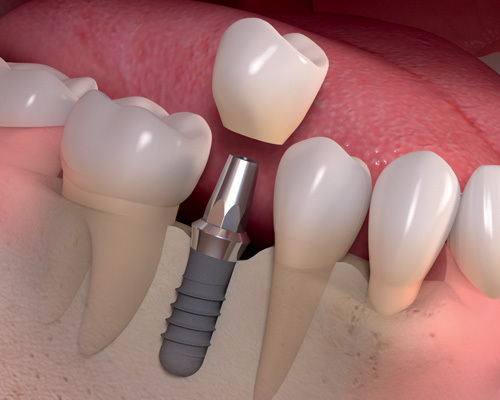 The earlier that the dental professional can identify a problem, the easier it will be to fix it for both you as the patient and for the dentist. Without dental x-rays, problems will get increasingly worse and tougher to treat. In some cases these problems will also negatively affect your complete health and well-being. Be sure to talk to your dentist about dental x-rays if you have questions at your next check-up and cleaning. If you are searching for a dentist in the greater Philadelphia area you can call to schedule your free consultation with Dr. Ken Cirka and Dr. Jessica Meier at 215-568-6222 so they can help you. We look forward to meeting you soon!